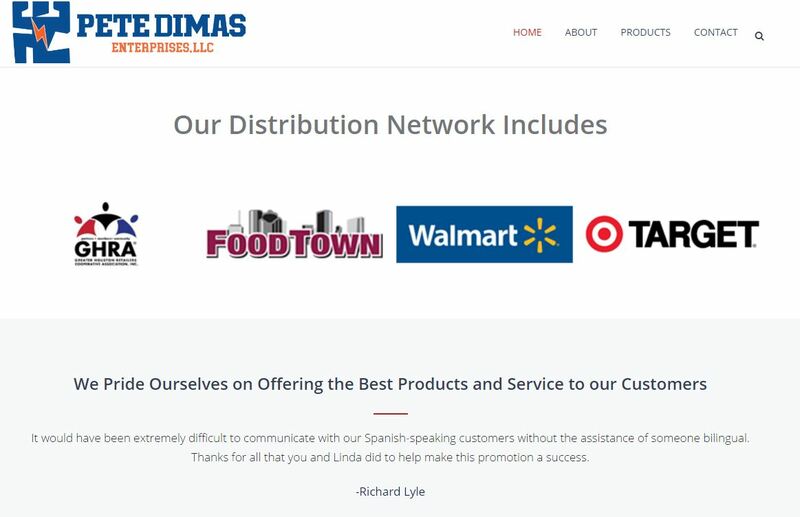 Dimas Enterprises is a dry goods delivery company based out of Houston, Texas specializing in the distribution and promotion of specialty Mexican food products for the greater Houston metropolitan are. The owners and founders Pete and Jane Dimas have been heavily involved with the community, including working with the University of Houston to help students gain real world experience. 3PRIME worked with Dimas Enterprises to create a new, custom site as well as recreating their logo as a part of their overall digital marketing strategy and brand expansion. 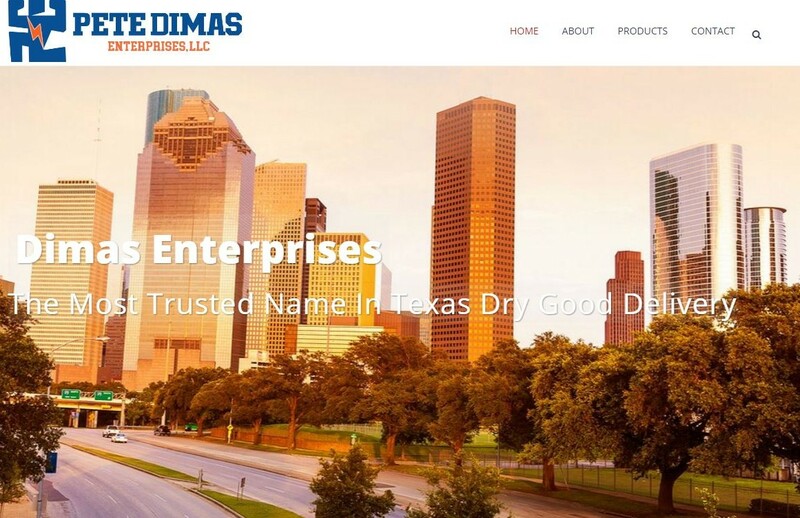 In order to create the website, 3PRIME worked closely with Dimas Enterprises throughout the process in order to obtain the look and feel that Dimas Enterprises wanted. The combination of knowledge and experience and the collaborative effort were instrumental in creating a brand new, user-friendly site for Dimas Enterprises. Using a premium WordPress theme 3PRIME designed and built a new website from the ground up. Focused on user experience as well as SEO best practices, the site is a reflection of Dimas Enterprises’ commitment to excellence and customer service. The mobile experience is accounted for in all 3PRIME web designs and the Dimas Enterprises’ site was built using a responsive platform. 3PRIME created and setup a Google Analytics account for Dimas Enterprises. Tracking and analyzing website data is critical for improving a website, increasing organic rankings, and understanding visitor traffic. 3PRIME also set up a goal tracking system in order for Dimas Enterprises to understand how their customers are using the website and as a way in which to make positive changes in the future. 3PRIME worked closely with Dimas Enterprises to understand and advise Dimas Enterprises on how best to create a website that would be accessible for clients display their brand. In addition to copy assistance and design best practices 3PRIME also created a website with user experience in mind and that best showcased the high standards of Dimas Enterprises. 3PRIME rebuilt and recreated the Dimas Enterprises logo into one that was more modern and yet maintained the overall aesthetic that Dimas Enterprises has cultivated.